One of the most important pieces of advice I can give you is not to underestimate the importance of seeking treatment from a professional and experienced practitioner. Dr.Douglas stresses the necessity of the practitioner having a 'familiarity with the anatomy of the face' so you should always look for a doctor with experience and preferably a medical background (Dr Andrew Douglas is in fact qualified both as a medical doctor and a dentist!) If you find yourself in Harley Street it's safe to assume you're in capable hands but always make sure you research your clinic thoroughly and that they offer an initial consultation. Dr. Douglas, for example, ensures appointments are a minimum of thirty minutes, depending on the purpose, ensuring sufficient time is given to consultation or treatment. I think they key to absolutely anything is education and this definitely applies to any form of cosmetic enhancement so I went along and sat right at the front with my notebook and pen in hand eager to absorb everything I possibly could about the procedures because, honestly, what do you REALLY know about botox? I can put my hands up and say that before that evening all I really knew was that 'it sometimes made people look funny', it involved injections and sounded quite painful and whenever I mention it to my friends they immediately begin reeling off stories about 'people lacking any kind of expression/looking frozen' and so on. It comes as no real surprise to learn that the 'frozen look' 'trout pout' and 'pillow face' look is simply due to using too much. Everyone knows that botox is used because of it's effectiveness at preventing the muscle activity that causes fine lines and wrinkles on the face and it's still the most popular non-surgical facial aesthetic procedures available and, when done correctly, (Dr Douglas describes aiming for a "younger, yet untreated natural look") it successfully minimises the look of the 'dynamic lines' of the face whilst maintaining natural movement. What I found really interesting was the importance of using the correct combination of procedures. 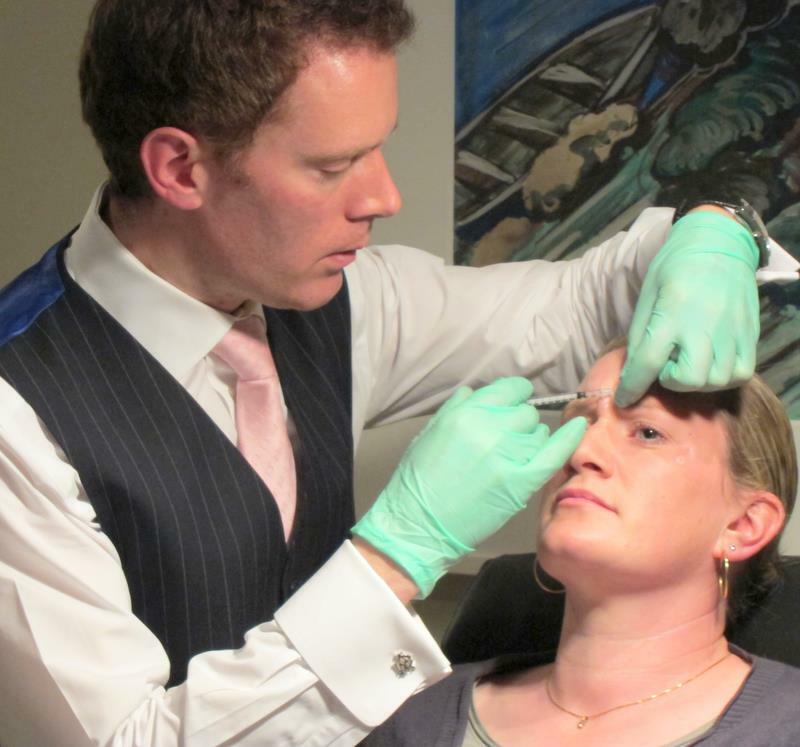 Most practitioners seem to favour the use of 'botox for everything' and have a rather gung-ho approach to using it but actually, in most cases, it's a combination of procedures that yields the best results. How many of you have friends or friends-of-friends who have dabbled in botox - almost all of you, right? What about fillers? It seems like with regards to anti-aging that's all any ones ever really heard of, wants to try and all that's ever on offer! Take a mirror (no seriously-go and get one!) and look at the lines at either side of your mouth - now, take one finger and place it underneath your eye above the apples of your cheeks on your cheekbone and push upwards - see the lines disappear? Dr.Douglas explained 'You don't inject into the line - you pull it up!' This is basically what filler does to the lines. You gain volume in your cheeks, rescuplture the face and eliminate the wrinkles. A relatively new alternative to dermal fillers is 'Sculptra' which induces new natural collagen formation (as opposed to just injecting a gel to plump up the skin). Deciding between Dermal Fillers and Sculptra often comes down to whether the practitioner is qualified in Sculptra (Dr.Douglas is but I believe the majority of practitioners aren't). Whilst more expensive than Dermal Fillers, it can be expected to last two to four times as long. Now onto the bit you're probably dying to know the most about - does it hurt? Well, I've already painted the picture of me sat right at the front like the class geek haven't I. Need proof? Told you so! I was literally front row thus giving me the perfect view of Dr.Douglas injecting two lovely volunteers -one with botox and one with fillers. First up was botox! Dr.Douglas marked the areas on the face he was going to inject (there were about 10 injections in total) and began at one eye and moved up to the forehead then back down to the other eye - each injection lasted only a few seconds. As you can see the volunteer looks completely nonplussed by the whole procedure and didn't even close her eyes or flinch. She hopped off the chair happy as larry afterwards and continued chatting away and sipping on champagne. 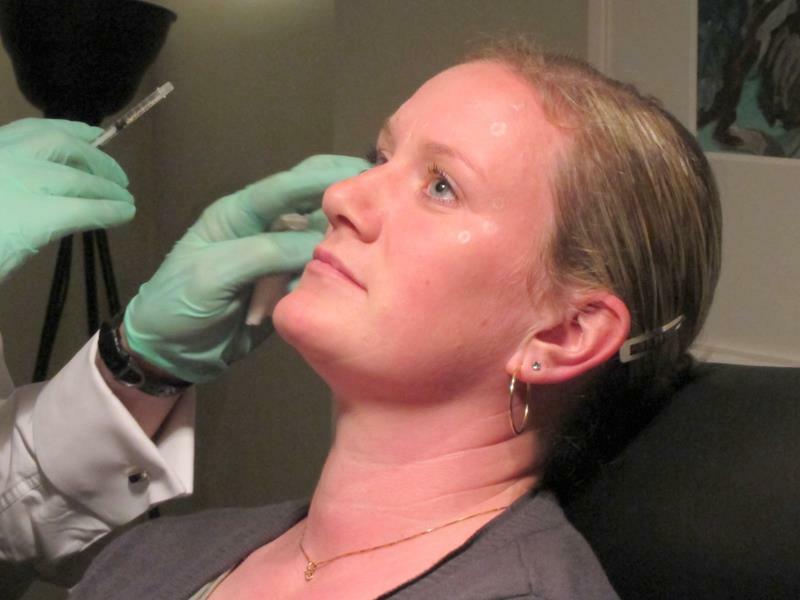 Botox injections, from my point of view, seemed to be very quick and (almost) painless - the whole procedure probably lasted under five minutes and despite a tiny amount of redness there was absolutely no visible signs that she had had anything 'done'. Then came the fillers and I must admit this was more uncomfortable to watch. 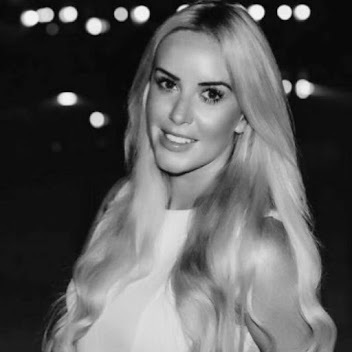 As I mentioned before the effect of fillers is pretty much instant thus a good practitioner like Dr.Douglas uses the method of 'less is more' and uses only a little at a time, then massaging and checking the progress. Thus a deep line will need to be injected quite a few times. As you can see this injection is slightly deeper so it draws a tiny amount of blood (though it really was minimal) so from my point of view, fillers definitely looked more painful and the injections lasted longer - although there was still no flinching or even an 'ouch!' from the volunteer. Botox injections are relatively shallow injections and each section is only injected once. Afterwards there is no real down-time or 'recovery period' but you should avoid putting your hands anywhere near your face, going to the gym/raising your blood pressure (no stress!) or washing your face with very hot water for a day or two. I didn't know this, but the results of botox are not instantaneous and will only start to show over a few days (how weird!) on the other hand fillers are injected a lot deeper into the skin (the line is repeatedly injected until the desired effect is required) and they do have an instant effect - the filler is massaged gently into the face and it is advisable again to not touch your face or to avoid massaging/rubbing the area. Essentially all of the 'no-nos' just involve you using your common sense! 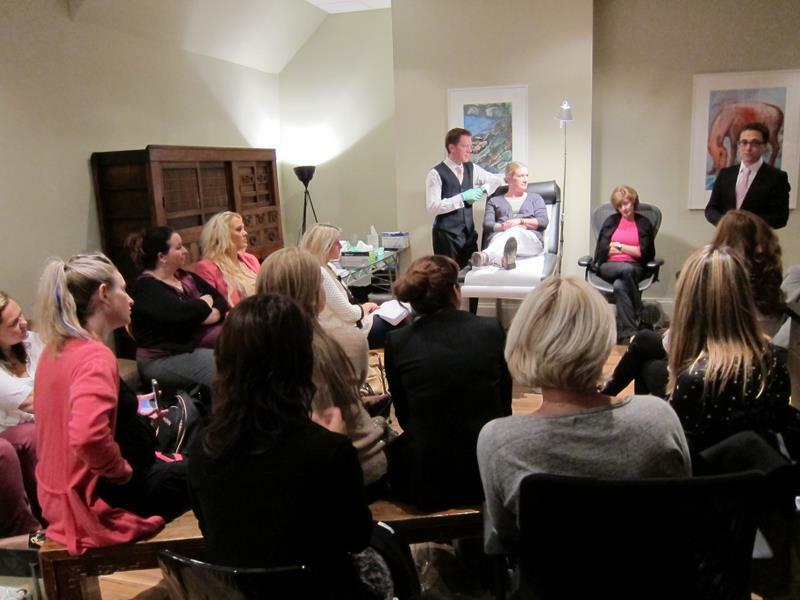 I came away from the event much more informed about all of the different procedures and it really hit home to me that if someone is injecting your face you really want to ensure they are experienced and good at what they do! I realise that a lot of people have an automatic negative opinion of injectables but this is due to the occasional bad job or adverse reaction which then gets a lot of press (hello leslie ash trout pout and bizarre jocelyn wildenstein [google her if you don't know who she is...seriously]). Dr.Douglas pointed out it can make sense to start the anti-aging process younger as a preventative measure as opposed to a treatment. This means small amounts only are needed to halt the lines before they actually become ingrained on the face. This results in less wrinkles and also a need for less product over time. He notes that he's seen a rise in young professionals having botox (cleverly nicknamed 'protox') and people in their mid twenties coming to see him. What are your thoughts on this? I'm nearly 23 and if I mention the idea of having botox I'm greeted by silence, a loud sigh, tutting, eye rolling and then a lecture. What are your thoughts on starting botox in your mid- twenties? A sensible plan to prevent aging or a ridiculous idea? I'm genuinely interested to hear your opinions and also about any experiences you have with injectables!